Hotel ibis budget Munich City South. Book now!Free Wifi! 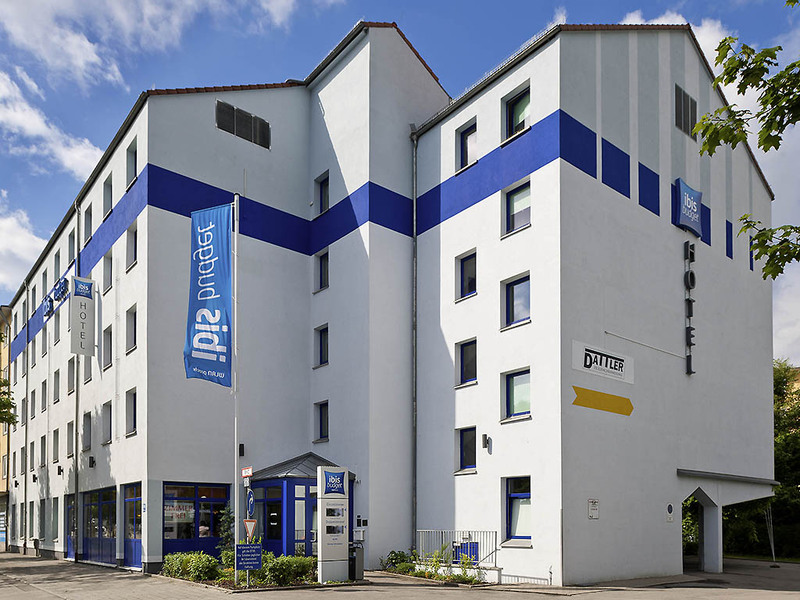 The ibis budget Munich City South hotel is 10 minutes from the main train station and close to the A995 highway. The hotel has 91 comfortable rooms suitable for up to 2 adults and 1 child under 12 years of age. Enjoy free WIFI and get your day off to a great start with a delicious buffet breakfast. The hotel has a paying indoor car park (limited spaces, no advance reservations). All desk employees were very helpful and courteous. Hotel was clean. Had a three night stay for the footie. It’s by a busy main road and not many bars or restaurants around. It is, however, near a ubahn station with easy access to the city centre. The guy on reception, Vedo, was a star. He gave great advice on what to do in the city. He was a mine of information. Every thing else was fine and it was a good experience staying in your hotel with good price. Dear SARA C., We very much appreciate your comments regarding your stay at the ibis budget Muenchen City Sued. It is always a pleasure to receive positive feedback. I will share your comments with our team. I am sure that this feedback will serve as an encouragement to all of our staff as we strive to continuously improve the quality of our services. Thank you again for sharing your experience, and we hope your next visit will be as pleasant as the previous one. Sincerely, vidovic V.
I was guest during a mess, but was on business trip. The staff was friendly and the breakfast was totally fine, every thing you need (no special offer like salmon or smoothies but something for a sweet and savory breakfast). The room was very small and the last room a got was with separated beads and they are not possible to move. The table in the room was to small for working. The price was totally to high ... but I think it is Munich and it was mess in town ... all the hotel had brazen prices. Sehr geehrte Frau S., wir danken Ihnen vielmals für Ihre Anmerkungen zu Ihrem Aufenthalt im ibis budget Muenchen City Sued. Über Ihre lobenden Worte freuen wir uns sehr. Ihre positiven Würdigungen werden wir selbstverständlich gerne an die betreffenden Mitarbeiter weiterleiten. Ihre Zufriedenheit ist für unsere Mitarbeiter, die Tag für Tag daran arbeiten, Ihnen einen einwandfreien Service zu bieten, die schönste Belohnung. Wir hoffen, Sie schon bald wieder bei uns begrüßen zu dürfen. Mit herzlichen Grüßen Vidovic V.
You have a very good staff the lady who was at the reception was very caring and served us the breakfast well and during we had to rush helped us a lot to make it early during the checkout by arranging taxi and packed some food for us. But had a low convience as the room size was too small and the rates were very high for such kind of accommodation. Dear VEDANT D., We very much appreciate your comments regarding your stay at the ibis budget Muenchen City Sued. It is always a pleasure to receive positive feedback. I will share your comments with our team. I am sure that this feedback will serve as an encouragement to all of our staff as we strive to continuously improve the quality of our services. Thank you again for sharing your experience, and we hope your next visit will be as pleasant as the previous one. Sincerely, Vidovic V.
Helpful staff. Close to Metro. Clean.and comfortable. No luggage room. Ibis met my expectations beyond i thought with that kind of budget. IBIS Budget Hotel is very good within budget especially during Trade fairs, and stayed peacefully, location is very close to Metro from there we can reach any part of Munich.Rooms are very clean. Value for money. Reception services is definitely different than known from other hotels. But the rooms are pleasant and comfortable. The hotel room was clean and there were two gas stations nearby, meaning that one can buy stuff even at 3:00 in the morning. I wish I had a water boiler, though. hotel in and out, business pure. Negative: no points on my Accor membership.